UK Release Date - 13th November 1981. US Release Date - 1981. The second single from 'High 'n' Dry' was released in November 1981. 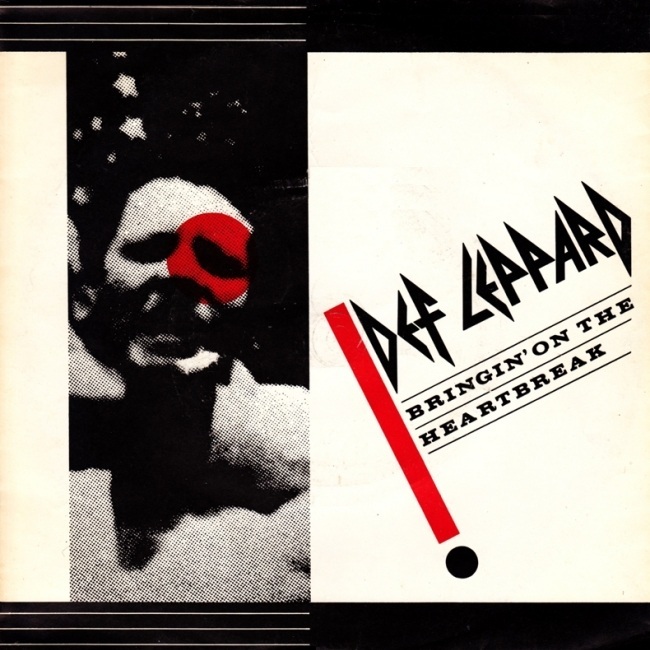 'Bringin' On The Heartbreak' was the first ballad released by the band as a single. It failed to chart but became one of Def Leppard's most classic songs. The UK 7" sleeve (seen above) featured artwork. The 12" had a live pic and a line of red at the top and bottom. A rare Edit version of the song was included on a US promo single. The reverse of the main single sleeve had the song title and details listed in the slanted style of the front sleeve on a plain white background.